Add luxury to your bedroom with the Catalina Rectangle Chevron and Stripes Pillow. 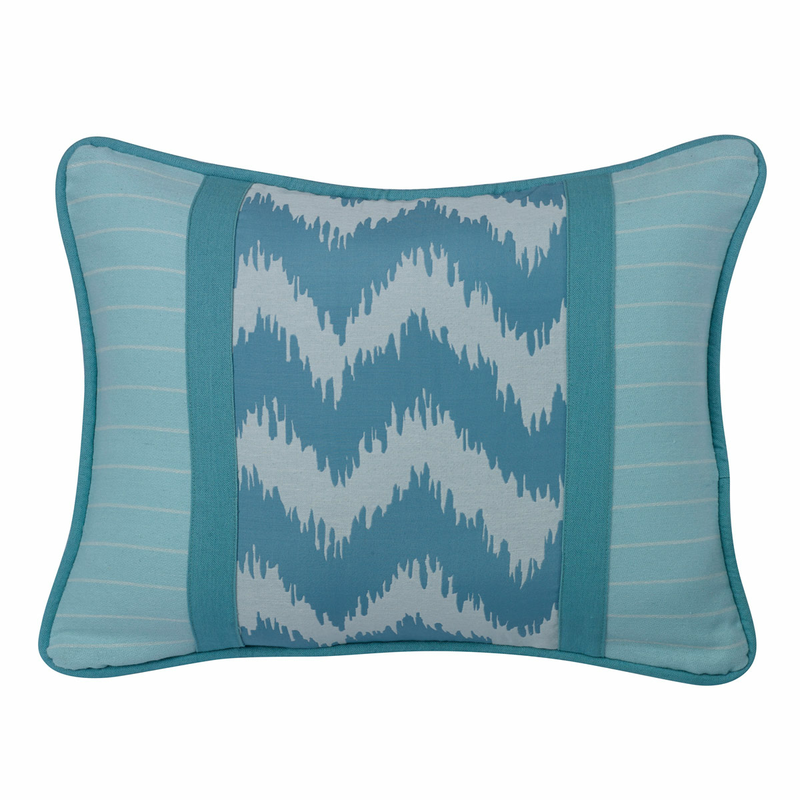 This coastal decorative pillow features chevron ikat-style print complemented by aqua and white stripes for true coastal style. Ships from the manufacturer. Allow 1 to 2 weeks. For even more pieces, we encourage you to take some time to look through our full assortment of coastal decorative pillows at Bella Coastal Decor today.